We are over month into the school year and I don’t know about you, but mornings can be a struggle. One thing that has drastically helped our mornings be smoother is having breakfast options that I feel good about. Greyson (my little) is a breakfast eater. It’s his favorite meal of the day and he can EAT. He’s seven, but seriously, he eats more than my husband for breakfast. Luke usually cooks a big breakfast or two over the weekend, but during the week… it’s always a balancing act for me to come up with a big breakfast that is healthy (or semi-healthy) and doesn’t take 45 min to make. 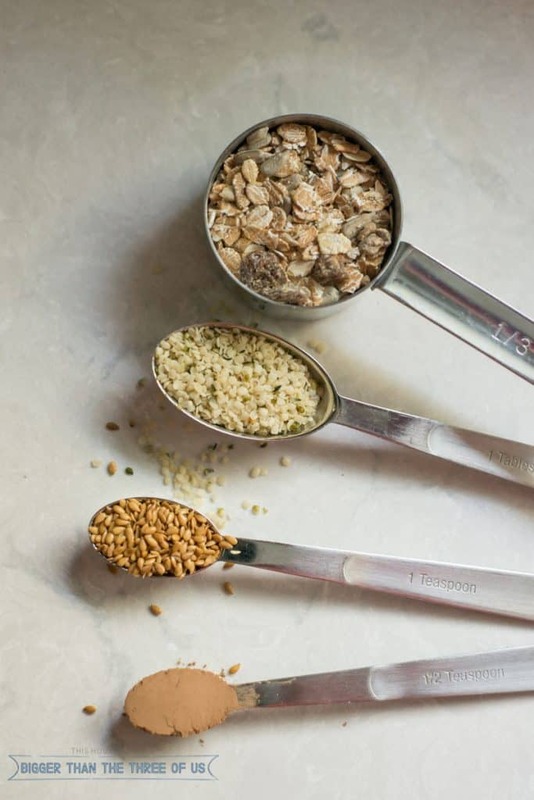 Of course, we have our favorites so I thought I’d share a few of our Healthy Fast Breakfast Ideas For School Days. 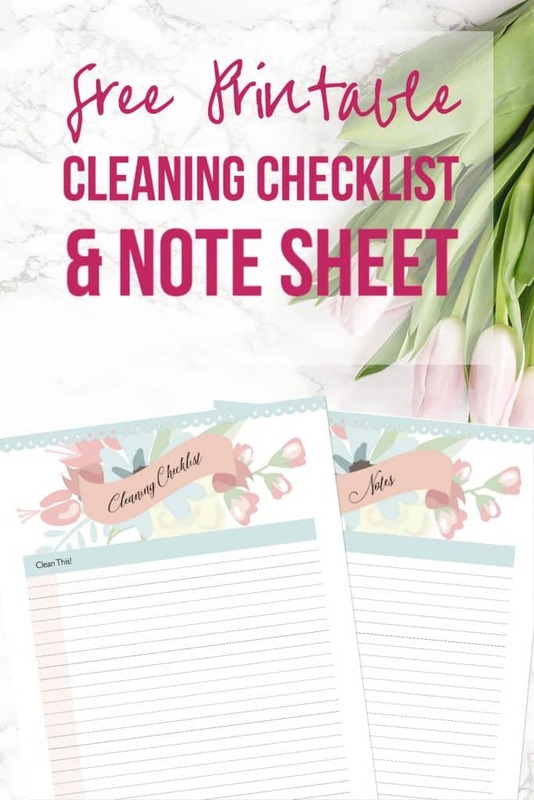 Also, stick around if you need more tips because I’m linking to a couple other blogs today that will help you streamline your day! I can eat smoothie bowls every morning and be thrilled with it. The mix-ins are so easy to change, and I feel like it’s a clean-out-the-fruit-bin/lettuce-drawer type of meal and it’s always good. 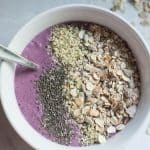 So, first up, I thought I’d share a bit about what we do for smoothie bowls/drinks (Greyson prefers his in a cup) and how that fits in with our breakfast. At the end, I’ll round-up a few ideas for other breakfasts that you can try. So, for a good smoothie, I start with Vanilla Greek Yogurt. I NEVER measure anything but I will try to give you an idea of measurements for today’s post (recipe card at the bottom of the post). To the yogurt, I add berries (fresh strawberries, blackberries, raspberries, etc. ), mangos, bananas, etc. I add about 1/2 cup of fruit or more. Whatever mixture I have on hand is great. If I have spinach or leafy greens, I add a good handful of that FIRST. I blend the leafy greens and the yogurt together first so that it gets blended really well. Then, to the leafy greens, I add the fruit. For Greyson, since he likes to drink his smoothie, I add the mix-in’s and blend it. For me, I like mine in a bowl, so I add all or most of these on top. For me, I always add Chia Seeds on top. I think blending chia seeds are weird, so for Greyson, I add them to whatever else he is eating for breakfast. 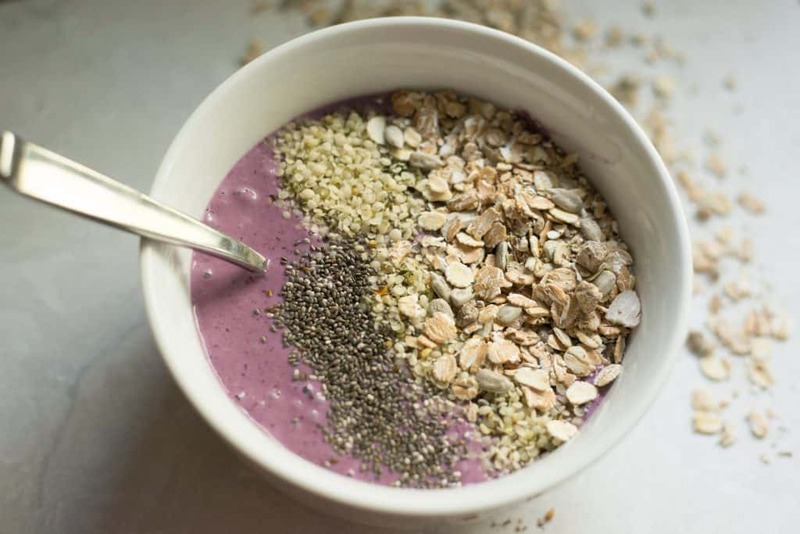 Adding a smoothie or smoothie bowl to our breakfast routine is fast and makes me feel pretty good about the balance of what we are eating/putting into our bodies. A typical morning for Greyson might be a smoothie, a piece of toast with butter and jelly and one piece of toast with honey. Or a smoothie, with cereal and eggs. Those are definitely our go-to breakfast options. Nut Butter and Yogurt Toast topped with Bananas and Chia Seeds. Basically you whip nut butter and yogurt together (for about 15 seconds and then spread on toast). This is super filling and tastes so good! You can even top this with cinnamon if you like! Avocado Toast – We like this any way! We top with “Everything Seasoning” from Trader Joe’s and Chia seeds. Homemade Breakfast Burritos – I do a LARGE pan of roasted veggies (potatoes, peppers, onions, mushrooms, etc.) over the weekend. Then, I cook about a dozen eggs and a package of bacon. Add all of that to tortilla shells and top with salsa and cheese. Individually wrap and place in ziplock bags in the freezer. Take out one at a time and microwave in the morning. Pancakes – Again, I cook these on the weekend and then we stick a large batch in the fridge for the week. We put them in the toaster in the morning and they are great! I usually serve pancakes with eggs and fruit. Egg Cups – Go and PIN THIS RECIPE right now! We do these frequently and mix them up with veggies/cheese/meat that we have on hand. They are always good! 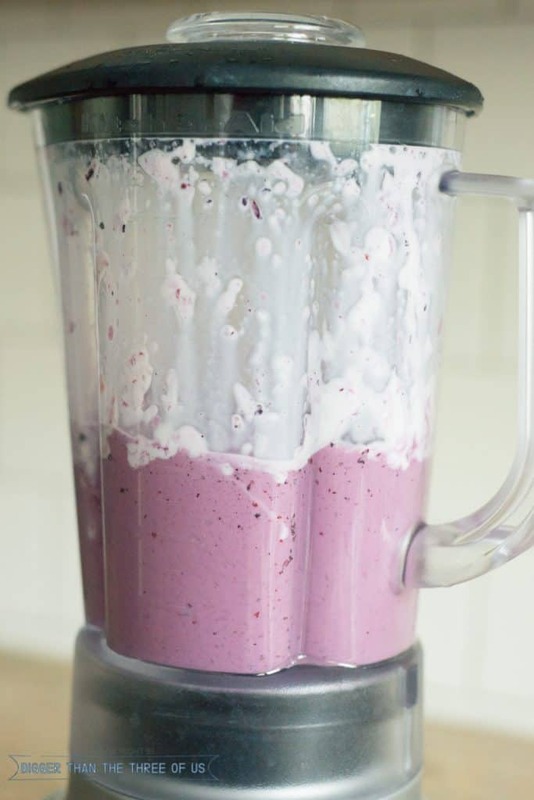 Ok, before we get to the recipe of the smoothie (you know you want it! ), make sure to pop over to Casa Watkins Living and Happily Ever After, Etc. 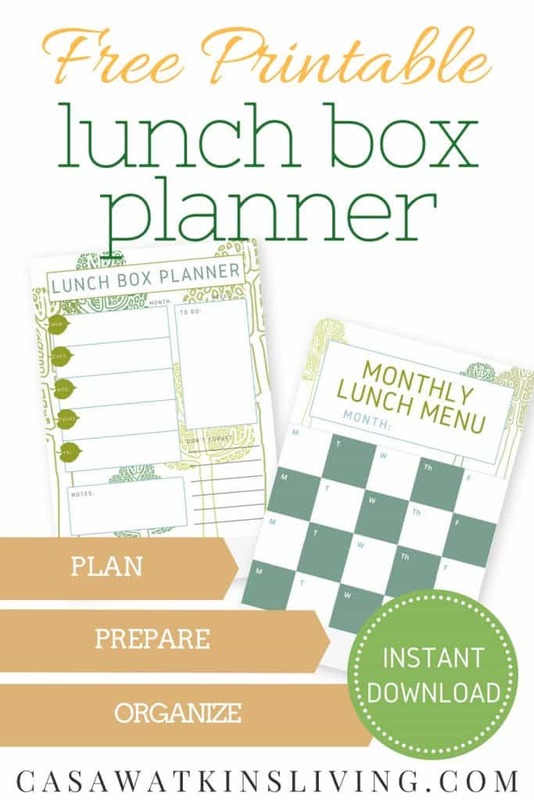 We joined ranks this week in hopefully helping all of you feel less stressed and more organized for your week! 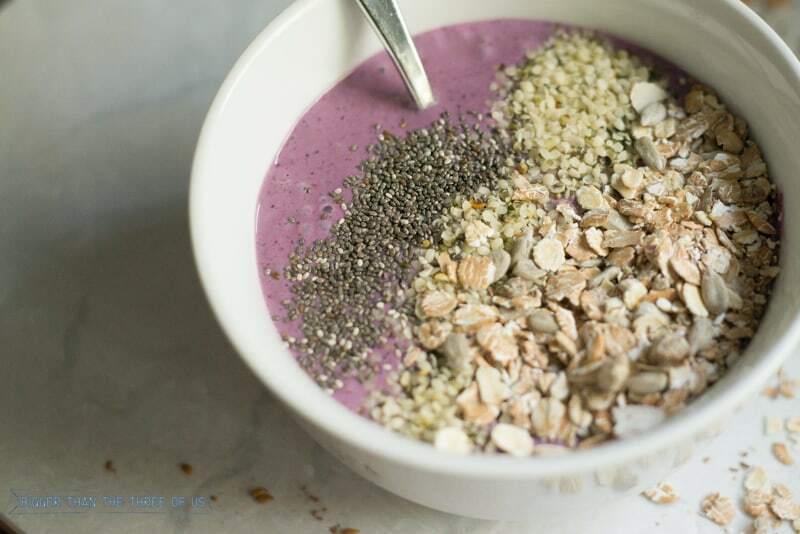 A Healthy Fast Breakfast Smoothie (or bowl) that can be customized to suit your taste! Blend together leafy greens, yogurt and milk. 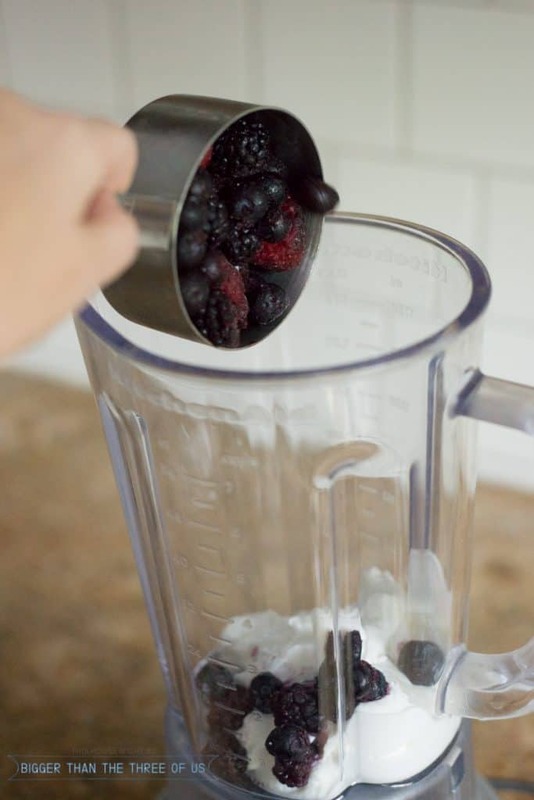 Add berries to the blended mixture. Add more milk if needed. Add in toppings and blend. Pour and enjoy!